All work carried out to a very high standard by fully trained ICS Registered Members and Hetas Registered Installers, fully insured and at an affordable price. Covering London, Middlesex, Surrey, Hertfordshire, Buckinghamshire. A Clean Sweep Limited are proud to be able to offer a wide variety of services to meet your requirements. We are committed to providing the highest levels of customer service whatever the job. From calling in for a quote to completing the job I honestly cannot have asked for a better service. I actually paid less than what was quoted. They provided the best advice which actually resulted in paying less. They are very cautious to be as clean as possible and are honest in every step throughout the job. I even gave them keys to carry on working which meant I didn't have to waste holidays from work and haven't regretted it. I received an update everyday and the love the finish article. Absolutely recommended and 100% trustworthy. I would highly recommend this company, from initial booking of quote to having the installation carried out I was very impressed with the service. Great communication and high standard of work. Chimney sweep installed new flue liner, fire gather and ventilation. They were prompt and did a good job. Dean and Leo fitted our woodburner and fireplace. 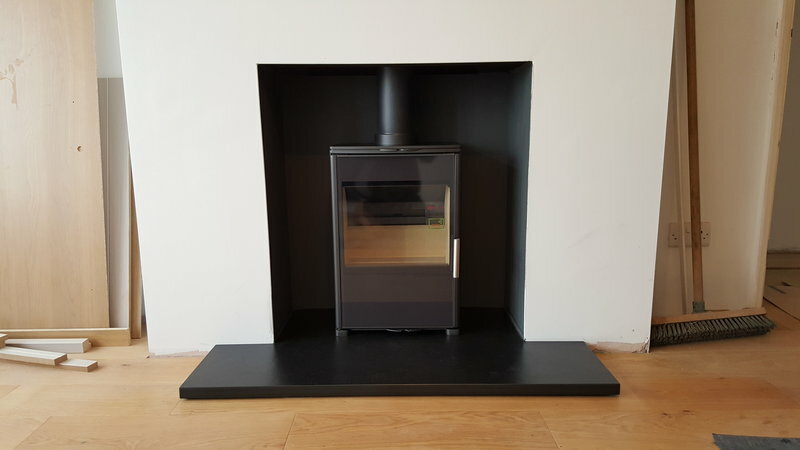 Included opening up, smoke testing and lining flues, installing stove and fire surround and air brick with perfectly smooth finishing and no making-good necessary. Very clean, not a spot of soot in sight. Lovely slate too. Fanastic room features. All competitively priced compared to the others we had. Dean is knowledgeable about DEFRA, HETAS and the Clean Air Act requirements so could advise us on choices for future use. If we decide to do the bedroom fireplaces they will be our go-to guys. Great job, very friendly and professional. Would recommend. Great service from A Clean Sweep Ltd. Professional from start to finish and the team led by Dean clearly have a wealth of experience in their trade. Highly recommend and would trust them to do a great job. 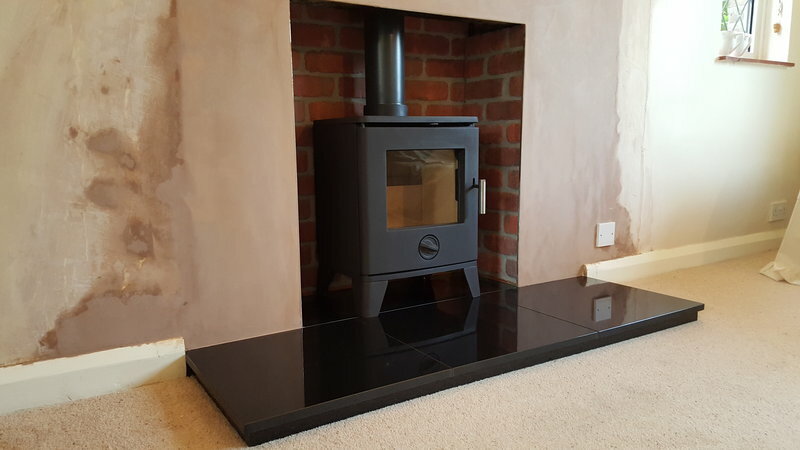 A Clean Sweep recently installed a multi fuel stove for us. Dean, the Director did the initial visit and was on time, polite and obviously knew his trade. He provided a quote in line with several other companies but we chose Dean because we had more confidence in his approach to the project. Dean's colleague Leo then did the bulk of the work for us and came on three or four occasions to allow proper time for cement to dry etc. The job did not feel rushed which we liked. Other companies seemed to want to do the job quickly in 2 days and this is another reason why we decided on this company. 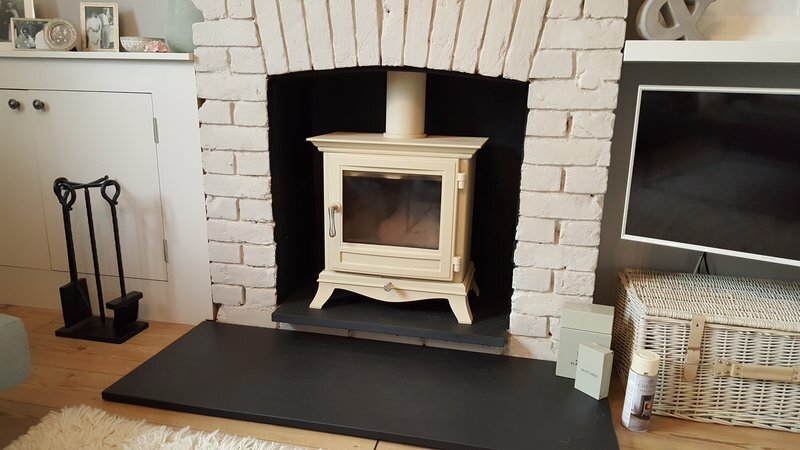 It was not a straight forward installation because we had a narrow chimney breast and so chair bricks were also removed at the back to make room for the stove. Leo was patient, calm and a neat worker and as a bonus was great with our son who wanted to help and ask a thousand questions! The plastering and finishing was completed very well too. Overall we would have no hesitation in recommending this company and are pleased with the end result. CCTV inspection to ensure the flue is safe; current fireplace removed; plasterboard; blend plaster into current wall; fit blank closure plate and supply and fit riven slate hearth. The work was carried out efficiently. The team arrived on time, were polite and kept the space tidy whilst working and cleaned up before leaving. All enquiries made via email and on the phone were responded to quickly.